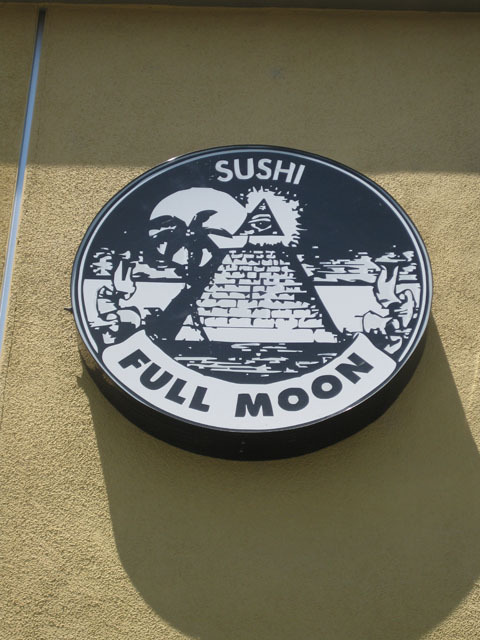 The Illuminati have, for their own reasons, opened a sushi place in Costa Mesa and called it “Full Moon.” Exegesis of this hermetic communication is requested. 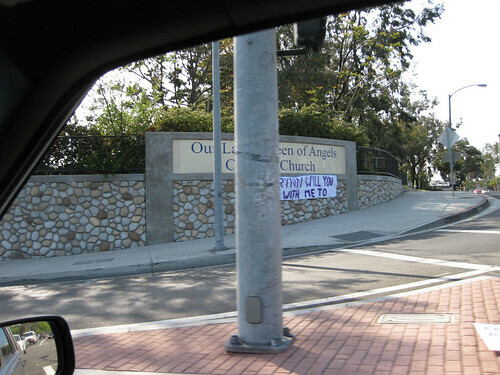 I was trying to get a shot of the kid’s banner on the church sign and accidentally created a great piece of weird framing, truncated language, and ominous mirror in the lower left there. Serendipity is why I like snapshots so much. That is absolutely bizarre. It’s obviously some strange version of the great seal. Francis Barton’s original design for the reverse of the great seal did include a palm tree, but according to wikipedia it was to be growing out of the top of the unfinished pyramid. For the full moon I find no explanation. Gnomes of Zürich roll + grilled Servant of Cthulhu, plz. AND NOT SO MUCH WASABI THIS TIME! As I recall we got various programmable calculators to do this in a loop during Study Hall. This is why we’re wealthy genius CEOs today. Our version of the Exquisite Corpse? Each would write a word or two and pass the paper on to the next? Didn’t we then publish them in Flotsam & Jetsam, the high school “literary magazine” because we’d taken over the editorial staff? Or am I confusing us with some sitcom again? CAN YOU PRO-RATE THE WEEK & A HALF FOR 50 CENTS? Here is $6. I will pick my elf up on November 30th. I’ll need him for work then. Do they have anything to do with the Rosacrutions? They’re based in Oceanside. Rosicrucian Sushi… hmm.. that would be an only-in-california item. We also have Manly P. Hall’s Philosophical Research Society in Glendale. Oh that is where they are hiding the elfs!!! 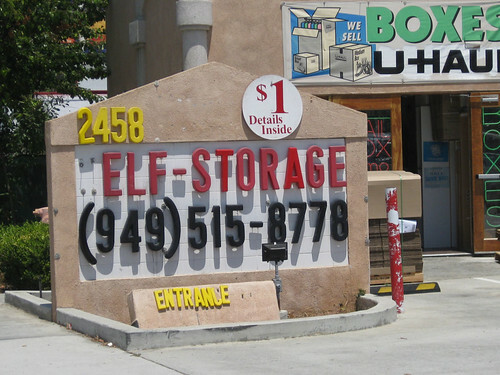 Now there are detention facilities for Elves as welll…. I’m so pleased to know where the elves are kept. But do I have to pay a dollar just to get the details?